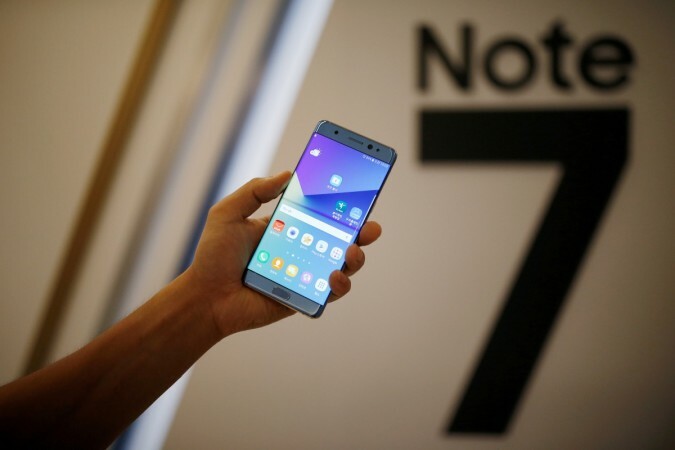 Samsung's refurbished Galaxy Note 7, dubbed as the Galaxy Note 7R, has received approval from FCC (Federal Communications Commission), hinting that the launch of the device is just around the corner. Samsung had earlier in the year confirmed that it would use the spare parts of the ill-fated Galaxy Note7 and also revealed plans to launch the refurbished model (aka Galaxy Note 7R) with safer battery in select markets. Now, it has received a telecommunication certification ahead of its formal debut. Samsung devices code-named SM-N935S, SM-N935K and SM-N935L, understood to be the variants of the redesigned Galaxy Note 7, have received approval from FCC (Federal Communication Certification), reported Blog of Mobile, citing the official document in its custody. The image (see below) looks believable, but Samsung has confirmed that the refurbished Galaxy Note 7 will be not be making its debut in the US. However, going by the model numbers displayed on the FCC document, it is expected to be made available in Samsung's home region South Korea and select Asian markets, including China and India. As per the information gathered so far, Samsung Galaxy Note 7R is expected to keep the same design language as seen in the original model, but with a reduced battery capacity. It is said to flaunt a metal-and-glass body with 5.7-inch QHD (2K)-based dual-edge curved screen having a stylus slot at the bottom right corner. Also read: Will Samsung Galaxy Note 7R find any takers? It is expected to house Samsung's in-house built Exynos (most probably 8890) CPU, 4GB RAM, 12MP dual-pixel primary camera, 5MP front camera and a 3,200mAh (or 3,000mAh) battery with wireless and fast charging technology. How much will Samsung Galaxy Note 7R cost? As far as pricing is concerned, it is expected to cost 700,000 KRW (approx. $620/€569/Rs. 39,766). When will Samsung Galaxy Note 7R be released? It is expected to be released first in South Korea next month and later in other markets. What do you feel on Samsung relaunching the Galaxy Note 7R and would you be interested in buying it? Tell us in the comments section below. Keep an eye on this space for latest news on Samsung products.